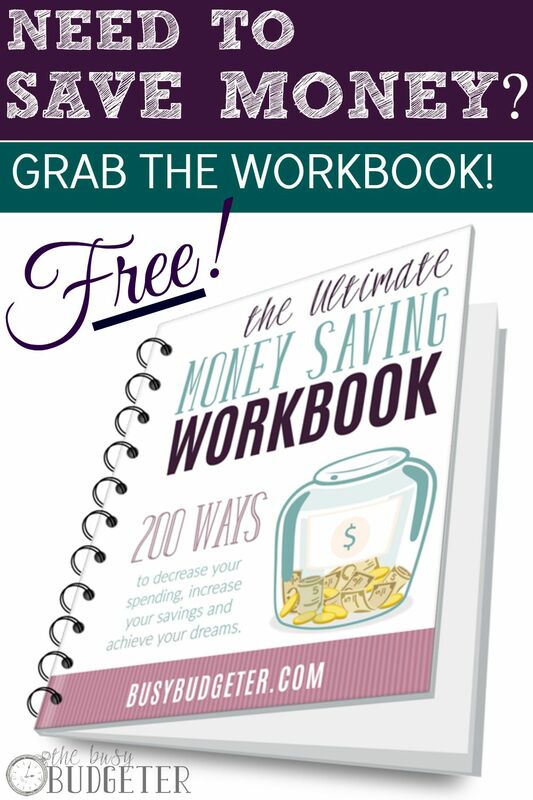 The Ultimate Money Saving Workbook: 200 Ways to Reduce Your Spending, Increase Your Savings, and Achieve Your Dreams! You have a goal. We all do. Whether it be a family trip to Disney World, buying a house, reducing your spending enough to stay home with your kids, or going back to college. The question is… How much do you want it? What are you willing to give up to achieve your dreams? There are hundreds of ways to reduce your spending. They range from easy with little sacrifice to incredibly difficult. Every day you make decisions that either bring you closer to your goals or further away. In my entire career, I never thought I would want to stay home with children one day. Then we had our son and it was all I could think about. At the time, we were only about two years into our frugal adventures and weren't in a position where that was possible. It would have been so easy to give up, and just accept life as it was. I gave myself a one year deadline. By his first birthday, I would be home with him. We worked our butts off that year. We figured out how to organize our time and plan ahead to make meal planning predictable. 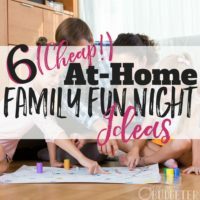 We reduced our spending in every category of the budget and then came up with ways to make money from home. It turned out that when we put our goal on paper with a sense of urgency, it was pretty easy. My last day of work was our son's first birthday. I'm in my second year of staying home and we're days away from having our second child. We've continued reducing our budget, and have increased the money I make from home. 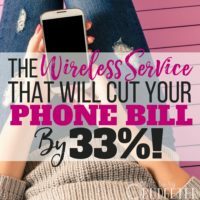 I wanted to save you some of the work that I had to do, and give you a check-list that you can go through and decide which money saving habits to work on as well as a place to track your progress and list your goals. Most of these we've implemented, with some that we're working on now. This is a process. You won't do all 200 this month and be done with it. Some of these take behavior modification and skill building. Start easy and build up to harder ideas. Set a date that you'll reach this goal and then make it happen. You can receive your FREE copy of the 14 page Ultimate Money Saving Workbook by subscribing to my newsletter below. As soon as you confirm your subscription, the checklist will be immediately mailed to you. You can subscribe by entering your email in the box below. *I'll send you a confirmation email and as soon as you confirm, and your workbook will be mailed directly to you. I’m already subscribed!! 🙂 How do I get the list? Got you covered Stephanie, I just emailed it to you. Enjoy! I’m already subscribed as well, but would love the book! Emailing you now Amanda! Enjoy! I am subscribed and would love it as well!! Did you get the confirmation email? Once you click to confirm, it’s automatically sent to you. Email me at busybudgeter@gmail.com if you still have problems! Thanks! I’m already a subscriber! Would love the workbook! Hey Jasmine! Shoot me an email at Busybudgeter@gmail.com and we’ll get you set up! I’m already subscribed as well. Could I please get a copy? Happily Diona! It helped us stay focused by giving us something to focus on one or two at a time. It made a huge difference when we started mastering them. It’s kind of a snowball effect. I signed up! 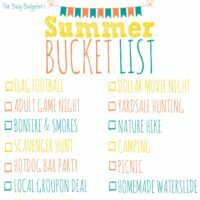 How do I get the Ultimate Money Saving Checklist? Thanks! Thank you! Can’t wait to read it!! Need to save on our spending. Love to have the ultimate money saving checklist. I am very interested in this. how do I sign up? How do I get a free copy? Hey May! Just enter your name and email in the “subscribe” box in the right side bar, the checklist will be automatically emailed to you. I had fun making it, I’m glad it found it’s way to you! I need this can you please send me it. Hey Jackie! When you subscribe to the newsletter, it sends you a confirmation email. As soon as you confirm your subscription by clicking the link, it’s automatically emailed to you. If you confirmed and don’t see it, check your spam folder. If it’s not there, let me know and I’ll send it to you. Just enter your email above Tuchedda. It’s a great resource! I’ve subscribed! How do I get this? i am hoping this budget gets me on a no spending and a not road. I “want” too much and with credit cards so handy and you use them for whatever. You can do this Penny! Don;t go for huge changes, just start small and gain momentum. I’m already subscribed! How can I get a copy of the workbook? Got you covered Lori… I just emailed it to you. If you subscribed recently, it gets automatically sent to you. Either way, you’re good to go now! I’m trying to subscribe, but I’m not getting any email or indication from the site that it took my request. Hey Amber! I see you in the system. Did you get the confirmation email in your inbox to get your workbook? If not reply here or email at busybudgeter@gmail.com and I’ll help you out. The site might have been wonky for a few minutes. It usually gives you a “thank you message” but we just went through a major site redesign so we have a looooooooooooooong list of things that need to be tweaked and fixed. I’ll check it out and add that to the list if needed. I would love this! Way to set a big goal and keep it! Hi, I am subscribed and would love the book. Can you send me a link? Thanks so much for your many ideas. Hi Monica! Did you confirm your email? Once you confirm it will automatically send you the download. Email me at busybudgeter@gmail.com if it doesn’t. Thanks! It won’t let me subscribe. I put in my info and click subscribe and nothing happens. How do I get this book? information management security and interdisciplinary communication. Would love for you to send me a copy. Thanks in advance! Looking forward to getting this info. Thank you. You’re very welcome Cathy! I hope you enjoyed it! I am having trouble subscribing to the email list. Should I send you an email? Yes Ivanna! If you check your email (occasionally it can get sent to your spam folder), you’ll have a link to confirm your subscription. As soon as you confirm, the workbook will be sent to you. Email me at busybudgeter@gmail.com if your still having trouble, I can manually do it and send you the workbook personally. Thanks for reaching out! Woah! That’s so awesome! I’ve been to Canada… That’s my extensive world travels. 🙂 The ebook goes straight to your inbox once you confirm, if you still haven;t gotten it, email me at busybudgeter@gmail.com (or let me know here and I’ll take care of it). Thanks! Thanks so much for caring enough to share this with us! Cannot wait to implement your ideas in my family’s life. Thanks again!!! I just checked it and it’s working on my end… It may be a browser issue. 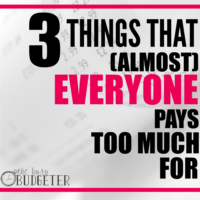 If you email me at busybudgeter@gmail.com I can help you out. It may be easier if you subscribe using the bright pink bar at the top of the page or the “free workbook” ad on the side of the page. Those all go to the same list. Thanks for letting me know! Ack! Melanie, We seem to be having that problem a lot. I’m fixing it right now and starting over. Sorry for the frustration! It’s fixed now Megan! You’re all set! Family of 8. Want despratly to be at home with my new born, 1 month and 1 week old. That was my goal as well Stephanie, though I definitely don’t have as many little ones as you! Hopefully some of these tips will help make that happen, good luck! I posted my email but havent seen anyrhing as of yet. Did you receive a confirmation email Stephanie? Please check to make sure it didn’t land in a “spam” folder as well! Hi I’m trying to upload my email address to join your mailing and to receive the checklist but it’s not allowing me to subscribe. I’m already subscribed how do I get my copy of your workbook? I’m already a subscriber, but would love a cop of the ebook.. Already subscribed but would like the workbook please. Thanks! Hi tried to subscribe and get the free workbook but for some reason it would not let me subscribe. Hi I subscribed as well now, please send me my book when u get a chance, thanks! ? Is your book still available? It’s not letting me subscribe ? Would LOVE a copy of the workbook. Tried to send to my email address but nothing happens after 3 different attempts. Please send to address listed below. It won’t let me subscribe for some odd reason. How can I get a copy of this? HI I’m new on here,(your blog) 🙂 but really would love the help! Please send all you can! I would like a workbook. I am trying to subscribe to receive this booklet, but it won’t let me. Single mom looking for ways to save and would love this workbook. How do I get this workbook … I already receive emails for the 90 day challenge … Thanks in advance!!! Hi Candice! I am so sorry you were unable to sign up, but if you can send an email to busybudgeter@gmail.com, Jennifer will get you everything you need. I am subscribed already and would love this book. I’ve also subscribed and have downloaded the 90 day bootcamp. Is the workbook different? If so, can you email me a copy as well. Hi Rosemarie – thanks for this information, it’s very helpful. My husband and I are taking the sessions for the Dave Ramsey’s Financial Peace University. We’re 4 weeks into the 9 week program and have already had to complete a budget, spending plan and a snowball worksheet to pay off debt. I think the program has a lot of useful insight and information (we get a workbook as well as his book “Dave Ramsey’s A Complete Guide to Money”), but my husband and I find the video portion of the sessions to be a little ‘intense’. I like to look at things (research) and find resources that allow me to take things at my pace. I’ve already signed up and confirmed my subscription, so could you please add me to your list for “The Ultimate Money Saving Workbook”? I’ve already started the Transform Your Finances 6-step challenge- great post! Thanks so much! can you please email me a copy of the link to the ultimate money savings workbook. I am already subscribed but was not able to print it out the first time.